Provinces in the Philippines have their own unique ways of celebrating their culture. 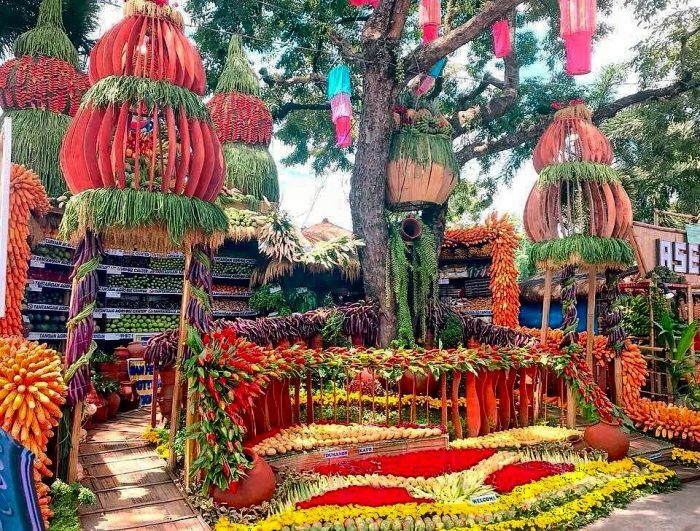 For example, the South Cotabato province has a big celebration every year known as T’nalak Festival. 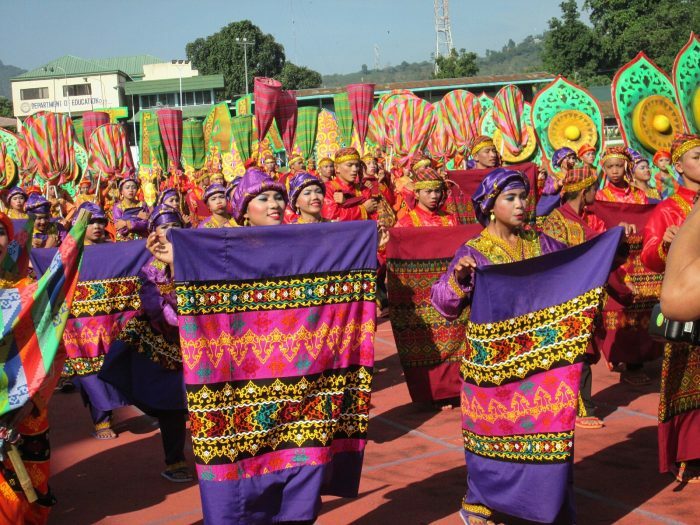 Every July, the festival is a week-long celebration held in Koronadal City, the capital of South Cotabato. The festival gets its name from “t’nalak,” a colorful abaca cloth, created and woven by the women of the T’boli tribe of South Cotabato. The design of the cloth is unique and “dreamed up” by the person who creates it. That’s why the province is known as “The Land of the Dreamweavers.” The T’nalak fabric serves as the festival icon because it symbolizes the blending of the culture, strength, and unity of the various ethnic groups living in the province. The T’nalak Festival also commemorates the works of Lang Dulay, a T’boli princess from Lake Sebu who was the best weaver of her time. She was awarded the “Gawad sa Manlilikha ng Bayan” or the “National Living Treasure Award” in 1998. 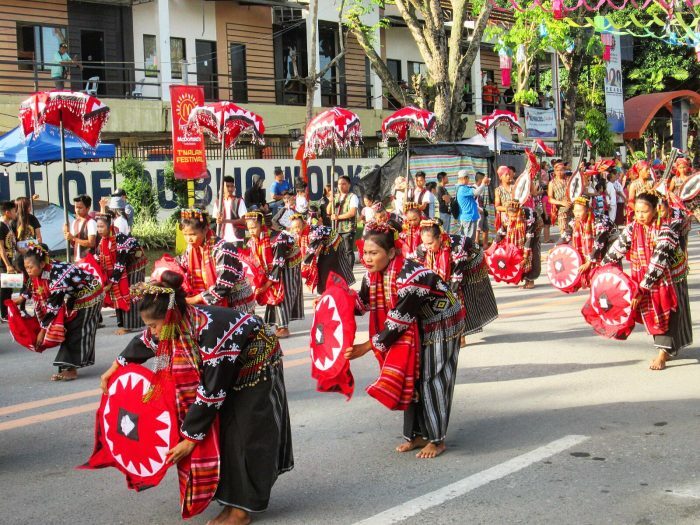 A Grand Parade is usually held on the first day of the week-long festival wherein they showcase the cultures of the tribal communities and indigenous people from South Cotabato, including the B’laan and T’boli. There is a plethora of different events and competitions held throughout the rest of that week such as the Fun Run, the Bahay-Kubo (Nipa Hut) Competition, TinaRock: A Night of Rock Music, and the Cheer Dance Competition. The festivities culminate on the last day of the week, when they announce the winners of the competitions that occurred. The T’nalak Festival ends at night with a display of fireworks.